A group calling itself Fair-Trade Oil Share-Ghana and PSA Campaign is Petitioning President Mahama at Change.Org for "Fair-Trade Oil Share" for Ghana! The group is by their campaign asking all Ghanaians and Ghana supporters to log-on to the internet to sign “Fair-Trade Oil Share-Ghana FTOS-Gh/PSA Petition to President Mahama and the Parliament of Ghana calling for the withdraw “Ghana Hybrid System” oil bill from Ghana Parliament. It said there is the need for government to approve the Production Sharing Agreement (PSA) contract for Ghana’s crude oil since the 17% out of 100 of crude oil revenues is a terrible betrayal of Ghanaians and Africans. 2. Approve Production Sharing Agreement (PSA) contract for Ghana’s crude oil! All Ghanaians and Ghana Supporters agree that 17% out of 100 (of crude oil revenues) is a terrible betrayal of Ghanaians and Africans! This is a matter in the public interest of Ghana! Please log-on to the internet and sign the petition at: https://www.change.org/p/ghana-fair-trade-oil-share-psa-campaign-ftos-gh-psa. (Note: Because of potentially shady dealings, we regret that this is the only email address we have for the entire Parliament of Ghana. GOGIG should take note. If any reader has the correct business email addresses, please send to the FTOS-Gh/PSA petition organizers). GHANA MUST ACT NOW FOR GHANA: We are asking you to lend your powerful collective voices to the “Fair Trade Oil Share-Ghana (FTOS-Gh/PSA)” campaign. Let us secure more oil revenues for Ghana’s oil and gas. We are asking you to demand that President Mahama and Mr. Adjaho (the Speaker of Parliament), withdraw the oil bill called “Ghana Hybrid System” from Parliament immediately. That Ghana Hybrid System bill has fraud written all over it! SUCCESS: Our success is your success. 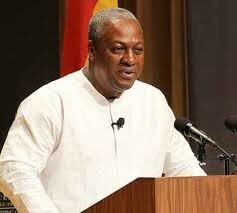 Your effort has already stalled the Ghana Hybrid System law. Our final success will be your success too. Final success will mean the PSA is adopted and instead of Ghana losing $1 billion every years for the five more years, Ghana would rather receive about $1 billion more each one of the next 5 years for needed economic, social, and cultural development, for Ghana. Final success will mean Ghana will receive better than 55% of all Oil and Gas revenues, as sovereign owner of those resources! Go sign the petition now! Thank you so much for supporting Ghana. Previous articleNigeria’s 2016 resolution, a dream or reality?